This workshop is aimed at graduates and professionals in the fields of Graphic Design, Illustration, Visual Communication and similar disciplines. Illustrator and Graphic Designer Steve Simpson will deliver this day-long intensive workshop for industry professionals. 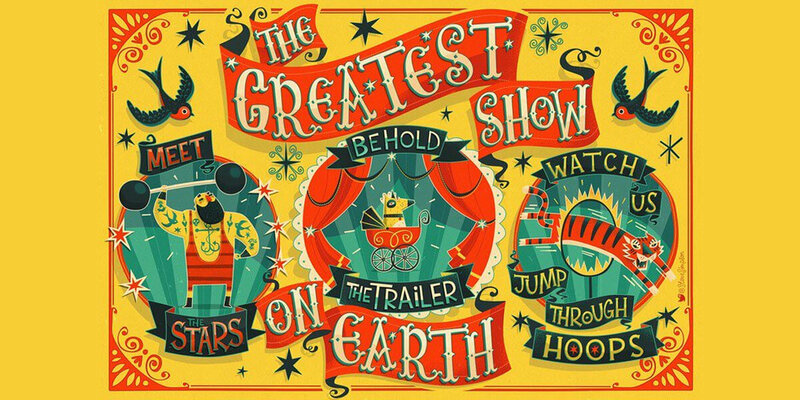 Inspired by the exhibition Circus250: Art of the Show, and in particular by the four circus posters featured in the show, Steve will explore techniques, both traditional and contemporary. Steve Simpson is artist-in-residence in the Millennium Wing Studio from 17 July to 12 August. Born in Manchester, Steve has over 30 years of experience creating work in his distinctive style which shows the eclectic influences of the arts & crafts movements, 1950s advertising and folk art. He has won over 50 awards for illustration and packaging design, and his work has been seen on everything from a postage stamp to a 200ft screen in Times Square. He is a founding member of the Illustrators Guild of Ireland and OFFSKETCH. Tea and coffee is included in the ticket price.